Sewer and drain cleaning is a job that requires the help of licensed professionals. Most sewer stoppages start out as a small, almost unnoticeable inconvenience. At first, you may notice that water runs slowly down the drain. Over the course of time, if not addressed quickly, this can lead to a much bigger problem. Once the drain becomes completely clogged, you will likely be faced with standing water in the tub, shower or sink. If you have a two story home, it often happens that you will notice the clogged drain upstairs, and then the problem quickly shows up as backed up drains in the down stairs tubs, showers, toilets and sinks. 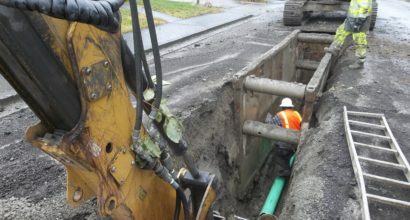 Why Is Sewer Line Important? If you have a two or three story home, it often happens that you will notice the clogged drain upstairs, and then the problem quickly shows up as backed up drains in the downstairs tub, showers, toilets, and sinks. If you have a multi-story home, it often occurs where an upstairs fixture becomes clogged. In this case, it may be challenging to fix but that's where our trained experts come in handy.